If you live or have ever lived in an apartment or rental property, then you know that finding a way to make it seem more like a home depends largely on how you decorate. Unfortunately, because you are leasing the property, you are rather limited in what you can and can’t do. For example, the apartments we recently moved into require an additional deposit if we want to paint the walls, and even then we can only paint an accent wall! One solution that works very well is to hang pictures, but if you don’t have any buying them can be quite expensive. Thankfully, there is a way to get the pictures you want for much less than you think! Instead of spending money you don’t have on professionally framed prints, you can frame your own poster for much less – and it’s easy, too! First you need to find the posters you want. There are hundreds of online stores that carry all types of artwork in poster format for incredibly affordable prices. 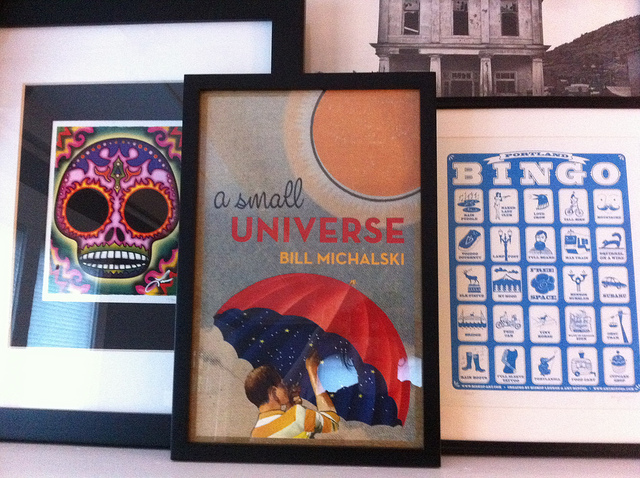 Once you have decided on the posters you want, the next step is finding the frame and framing materials. I suggest finding an online site where they manufacture their own poster frames and they come with the lens, the backing and the hardware for hanging like the ones you can find at WholesalePosterFrames.com. This way you cut out the middle man and save even more money! The last thing you need, if you decide you want it, is to find the color matting that will look good with the poster. This can also be found either online or in-store for very little. Once your posters and frames arrive, all that is left is to put them together. Make sure to attach the matting to the poster first, being careful that it is centered evenly. Then you simply insert the lens into the frame, place the poster on top of it, cover with the backing and secure it closed. If the backing did not come with a wire or picture hook, add your own and that’s it! You are now ready to hang your framed posters! There are several other affordable ways you can decorate your rental property without losing your deposit, but framing your own posters adds that little something extra since every time you look at it you know it’s something you put together yourself! What are some of the ways you decorate your rental on a budget? I am glad that you share this post because it helps people in understanding that decorating home is not always expensive. Decorating home is all about buying the things which enhance the beauty of your house.